you can also visit the smallest bookstore, 43 Trinity, on Trinity Plaza off Bush Street. Always such a wonderful show! Included will be my new artist's book TABLOID! enjoy cocktails and snacks and look at the offerings of wonderful local book artists. Sierra Nevada College, Incline Village, NV. Student Union Art Gallery, UMass Amherst. Great Hope is a show by National Monument Press at The Union Gallery at UMass-Amherst. Great Hope is about the people, places, and experiences that encourage and sustain us. From more than 70 artists, the 100 plus print editions are presented as a unified yet diverse and democratic conversation about where we each are finding hope and encouragement in our contemporary times. A publication will also be completed as part of the project, which will be available at the reception & book launch on February 21st. I will be sitting the gallery September 23rd, come by! Bookmarks XV will visit ten venues from September 2017 – February 2018 for free distribution, in Germany, New Zealand, Sweden, the UK and USA. The final set has 54 artists and groups who have sent their bookmarks from Australia, Canada, Germany, Hawaii, Italy, Sweden the UK and USA. Get tickets for the auction April 22. 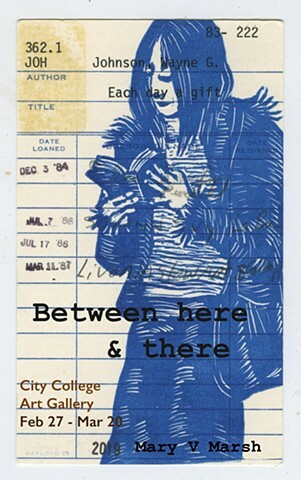 8th Annual Exhibition of Handmade Artist Books, altered Books and Book-related Materials. an exhibition curated by Alicia Bailey of works by artists who work in both drawing and book form. Salamony, Sandra and Peter & Donna Thomas. 1000 Artists’ Books: exploring the book as art. nice surprise in the Thursday Chronicle! new prints and other works created at Kala studios.